I grew up going to the library. They are a wealth of information, and there’s nothing like perusing a shelf of old, worn-out books for a diamond in the rough. I still don’t understand the Dewey Decimal Classification system, but that’s okay. Libraries will be nearly dead in the next ten years. Believe me, I’m not gloating about this, but the role of traditional libraries is diminishing very quickly. Think about it – libraries were a place to go and read, a place where you could learn nearly anything under the sun. The consumer internet is not even twenty years old, yet if I wanted to learn something, I would begin by searching it online. In today’s society where instant gratification is prevalent, why would someone want to sift through books at a library? A few months ago, Amazon launched the Kindle Lenders Library, a digital platform that enables Kindle owners + Amazon Prime subscribers the opportunity to “borrow” certain books for free*. The selection is limited (about 1000 titles), but after Amazon successfully negotiates with publishers I expect to see accelerated user adoption (and marketing from Amazon). Amazon is smart. They understand that content is king, but speed is the catalyst (think 1-click buying, & free 2 day shipping to Prime subscribers). 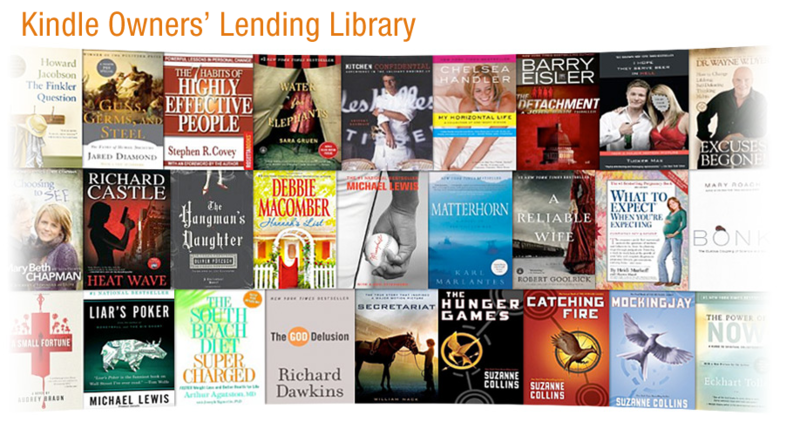 Amazon has cleverly positioned itself to provide “library-like” lending services from the comfort of your home. **At the moment, the library is the middle-man between a Kindle user and an E-book. That will change as technology improves, and lending will happen less and less at the local library. Mark my words..
Clearly the cost of a e-book reader has diminished significantly over the past few years, and user adoption has skyrocketed. 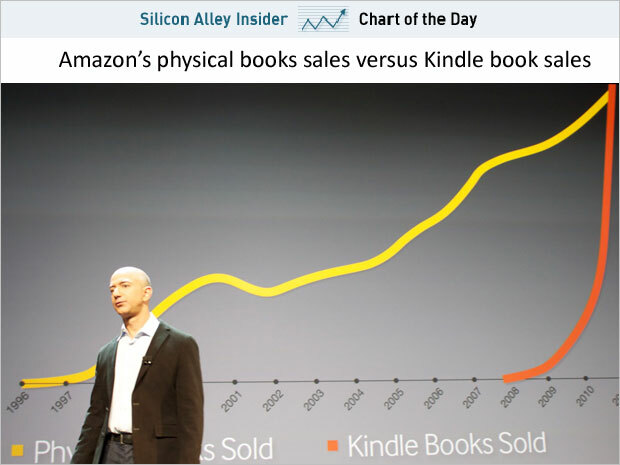 Look at the growth of Kindle book sales compared to traditional books on Amazon below. Insane! This isn’t only happening to Amazon. Barnes & Noble earnings show that Nook is a $220 million dollar business! When will this growth plateau? I don’t have a clue.. I live in Maine. I’m literally surrounded by trees, but apparently there’s about 30 million trees cut down every year for books in the United States. I’m not a tree hugger, but there will be more pressure to use digital books in the future, it’s just the way our culture is moving. From digital textbooks to E-banking, this trend will only increase. Libraries have a TON of books, but they won’t NEED to have them in the future. I’m a lazy American. Why should I drive to the library when I can read a book from the comfort of my home? I have a Kindle, and the E-Ink technology is mind-blowing. It reads exactly like paper, without the weight. I enjoy reading a book, but the Kindle provides a similar experience. For those of you who don’t have a e-reader, it’s okay. It just so happens that Amazon has the Kindle Cloud Reader, which allows users to read books online through the browser. The barriers to reading a Kindle e-book is extremely low, and many titles are cheaper than the tangible copy ($2 – $5). There’s really very little to lose, other than the weight of a book. Once again, Amazon’s **short iterations **are converting more and more die-hard book users into Kindle fans. In the future, I see this trend exploding (even more than it already is). What are your thoughts? Is Amazon poised to put libraries out of business?